PANA’s office is based in City Heights, San Diego, the most diverse neighborhood in all of San Diego County and home to historic refugee community landmarks like Little Saigon and Little Mogadishu. The neighborhood was traditionally more affordable, but in recent decades has begun to gentrify. 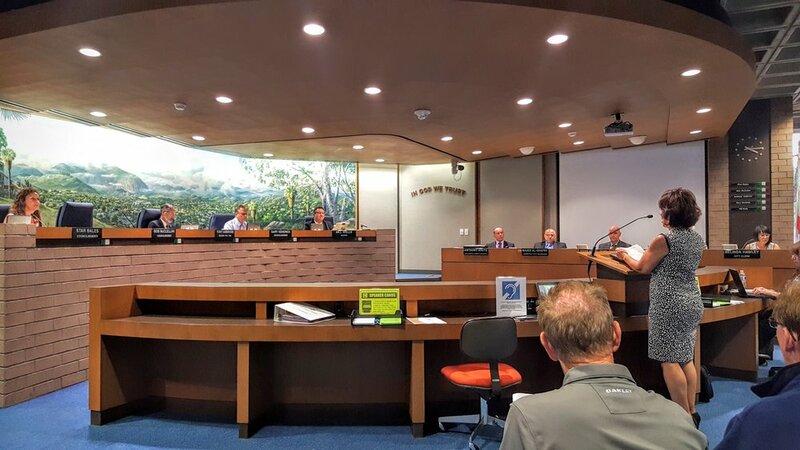 Up until the general election in November 2016, El Cajon had elected a city council like any other small community in California: each of the five councilmembers (including the mayor) has been elected by residents of any neighborhood in the city. However, in the 2016 election, residents overwhelmingly passed “Measure S,” a proposal to proactively divide the city into four districts, similar to San Diego’s current nine city districts. The 6-month-long process involving community input resulted in four districts that will be used for the first time in 2018. Three of the four new districts are considered “majority-minority,” meaning that more than 50% of the residents are either not white or are not native English-speakers. However, only one of the new districts will see a district race in 2018. El Cajon City District 1 centers on the Fletcher Hills neighborhood, and is 51% minority by this definition. It will become the first district of El Cajon to hold a district-wide race for a council position in 2018. The other three new districts won’t elect new council members until 2020. In the 6 months following the passage of Measure S, PANA supported the involvement of residents in the transparent, non-partisan effort to draw up districts for the first time. And while the map that was chosen in May 2017 was not the community’s first choice, the new map means an opportunity for better representation in every future city council race. 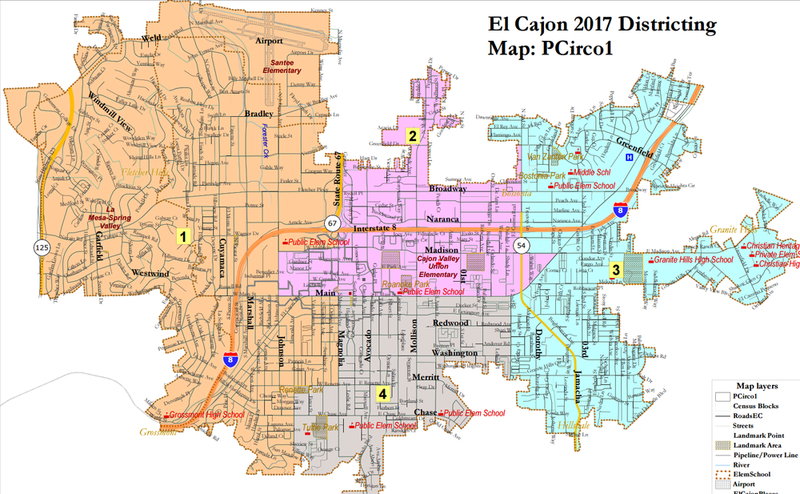 If El Cajon continues to grow, it will need to go through a similar process of “re-districting” at some point in the future. When San Diego added it’s ninth city district in 2013, the new district became the first that allowed refugee communities in City Heights to vote in the same race.